Home › Radio Articles › What About GMRS Radios? What is GMRS ? 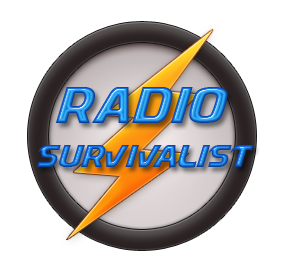 What do the letters stand for and what kind of performance should a GMRS offer in a survival or emergency situation? GMRS stands for the General Mobile Radio Service. The General Mobile Radio Service radio equipment operates within the range of 462 Mhz to 467 Mhz. GMRS is uusally used for short-distances using two-way communications that generally take place on small hand-held communications devices. In some circles these devices are called, walkie-talkies, handi-talkies or HT’s in the amateur radio community. GMRS is associated with other communications services such as the FRS, (Family Radio Service and also MURS, Multi-Use Radio Service. These are great radios for around the house/garage/campsite use. 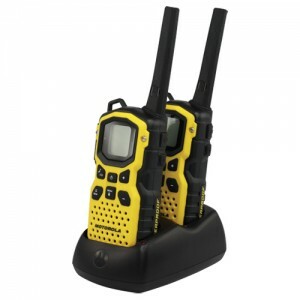 As for the licensing requirements, the FCC says you don’t need a license for GMRS radios. They also say you do need a license for GMRS radio. Confusing? Only the Federal Government could speak out of both sides of their mouths at the same time. The article is on the FCC web site: GMRS licensing. That being said, should you or shouldn’t you register a GMRS license. Probably to prevent problems from occurring in more ‘settled’ times it just may be better to go ahead and get a GMRS license. Sometimes better safe than sorry, no need to have some nosy person turn you in and the FCC show up at your do and find something that maybe you shouldn’t have :). Go to the FCC web link posted above and read the licensing requirements for yourself, don’t take the advice or your brother-in-law or your neighbour. Get the facts straight from the FCC and you shouldn’t go wrong. In theory that is; it’s still the Federal Government we’re talking about here. Ask around some of the survivalist forums or prepper forums for advice, never hurts to ask people who are actually using the stuff you’re interested in.